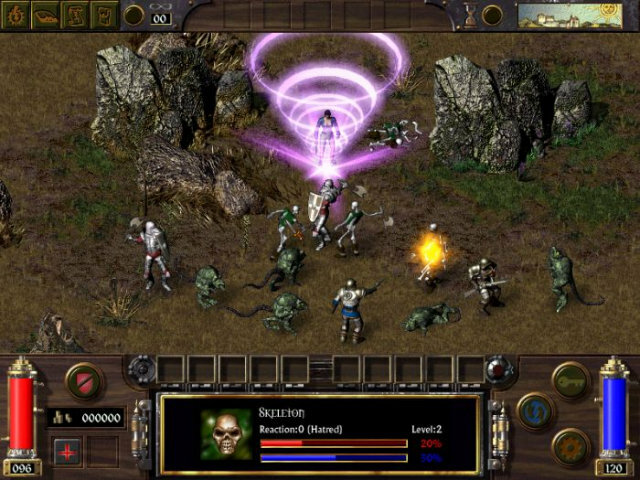 Arcanum: Of Steamworks and Magick Obscura (aka Arcanum) is a single player computer role-playing game developed by Troika Games and published by Sierra Entertainment. Arcanum has been designed to work with multiple styles of characters. A few of these include, but are not limited to, thieving, diplomatic, technological, magickal and fighting character styles. All styles of play are available regardless of the race and gender choices you have made. For instance, an elf, being more magickal, would have a more difficult time mastering technology than a dwarf, but the option is available if you wish to pursue that type of character. Below are just a few examples of the types of characters you may want to try out while playing Arcanum. You will find that the world reacts differently to these various character types and that alternate paths as well as quests are available to them throughout the game. is there any other website that we can download from???!?! does this realy work ? can someone help me please? i downloaded both files fine but i cant open the game up. In addition, I have downloaded a free file opener program and i still cant get into the game. what should i do anyone know>? U have to download files from both links. bro i want to play arcanum again but i don’t know where am i going to download it. were did you get the links??????? ?